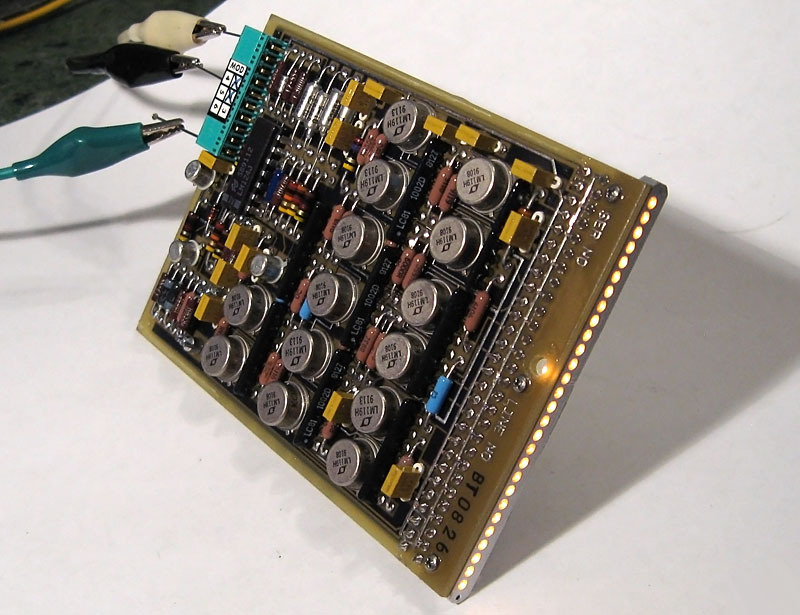 Here we have one manufacturer's attempt to sidestep the brightness limitations of 1970s-era LED bargraphs; a bargraph module made from dozens of tiny incandescent bulbs. This esoteric device contains a front mounted bargraph made from a heavily machined piece of aluminum. Inside is an array of 28 small five volt lamps, each mounted to a piece of PCB material with machined gold pins. 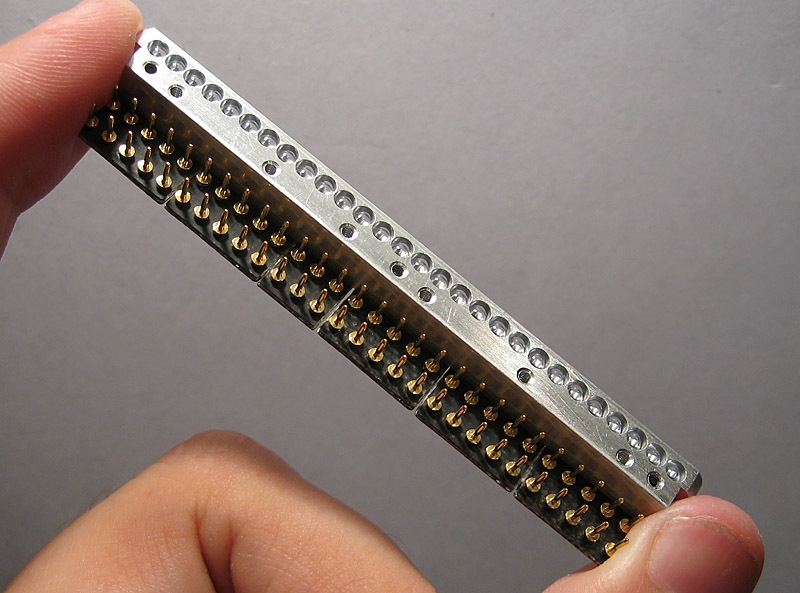 The bargraph array is socketed into a driver card which contains 14 LM119 dual comparators, each of which controls a pair of bulbs. Of note is that the aluminum casing has been machined with holes intersecting at a 90 degree angle to each other; this allows the bargraph to either be viewed from the front or the side depending on how it is mounted. We suspect, based on the design and dimensions of this device, that it was originally designed to make use of Wamco minitron bargraph displays, and was only produced with discrete lamps due to the significant cost and limited availability of Wamco's bargraph line. Incandescent bargraph module, al lamps lit. 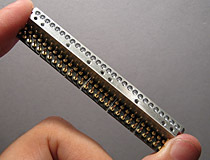 The bargraph portion of this device is a separate socket-mounted assembly, which can be removed and replaced if needed.